I wanted to share with you the fresh kale salad that I made for dinner tonight. It was delicious and really easy to throw together. I had everything done in about 20 minutes, which is excellent for a weeknight. While the croutons are baking, mix the olive oil, lemon juice, garlic and salt for the dressing and set aside. Chop the kale into small thin shreds, discarding the stems. Next, add the dressing to the kale and massage, (yes. massage. get up in there.) for about 2-3 minutes. 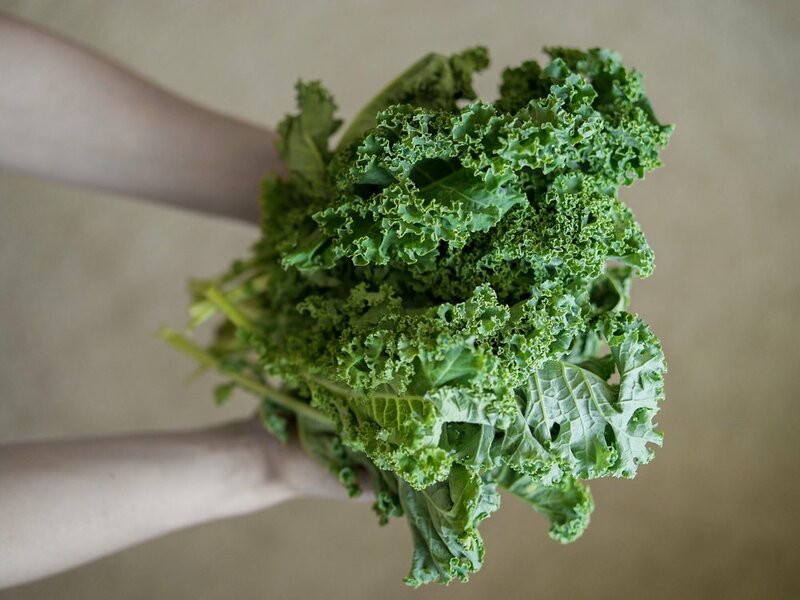 You will notice the texture of the kale softening up a little bit, which makes all the difference. Toss in the parmesan cheese. By now the croutons should be ready. I like to bash mine up a little more after they get crunchy to get a half crouton/half breadcrumb mixture. But that's totally my preference. Top the kale mixture with the chopped chicken, and the croutons. Viola! Super healthy wednesday night dinner.